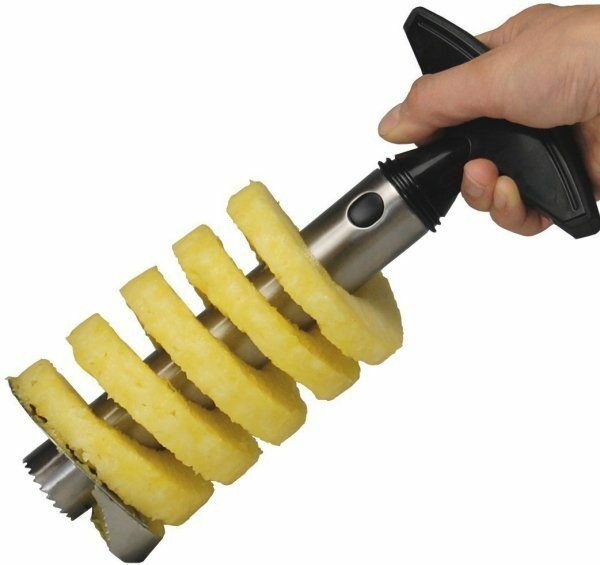 Pineapple Slicer and De-Corer Only $3.48 + FREE Shipping! You are here: Home / Great Deals / Amazon Deals / Pineapple Slicer and De-Corer Only $3.48 + FREE Shipping! Love to eat pineapple but hate the process of getting it sliced and cored? I have just the thing for you! Grab this fabulous Pineapple Slicer and De-Corer for just $3.48 + FREE shipping! This is expected to be delivered in time for Christmas, and it would make a great gift for someone!